Harsh Mehta from Bombay, B.E. - B.Tech Graduate. Harsh Mehta is Techno-Manager and currently have no work experience. are one of expert skill area's of Harsh Mehta . 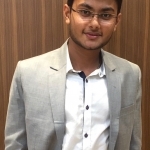 Harsh Mehta is working in Corporate Planning/Consulting/Strategy industry.